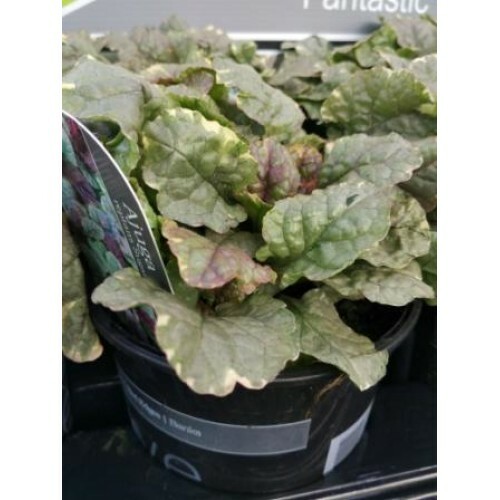 In Spring, vivid blue flowers contrast with grey-green foliage, the scalloped foliage itself provides all year round interest with new growth flushing purple. Low spreading, this is a great plant for ground cover under trees or as a border plant to keep areas weed free. Prefers moist soil, but provide adequate drainage and air circulation to prevent crown rot.